The market enjoyed a nice rally this week. So has my bearish outlook changed? No. Make that: Heck, no! The macro news keeps getting worse. • On Monday, Chinese exports badly missed expectations, falling 4.4% vs. estimates of a rise of 4.8%. 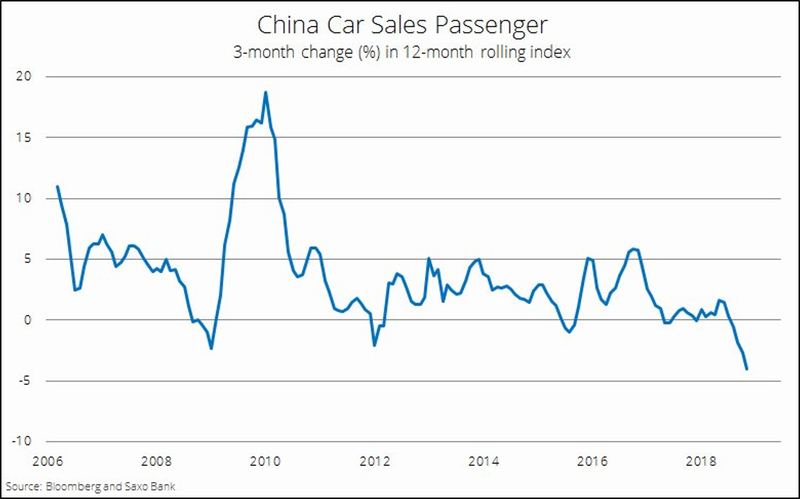 This is on top of slumping car sales in China. 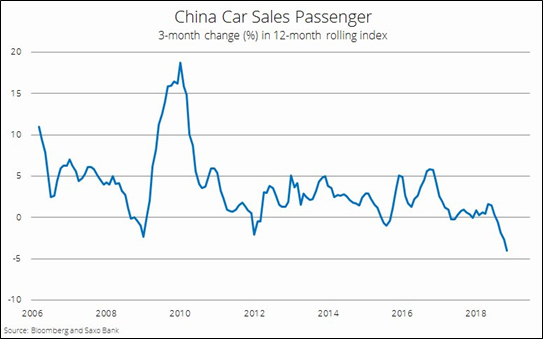 This raises the odds of a Chinese economic slowdown. • Also, the White House doubled its estimate of the government shutdown’s impact on America’s economy. Now, it says the shutdown will subtract 0.1 percentage points of growth each week. The government has already furloughed 800,000 workers and stopped payments to possibly 4 million contractors. This is already the longest government shutdown in history. If the shutdown lasts through January, that will subtract 0.5 percentage points from U.S. GDP growth. For an economy growing at 2.8% per year, that is BAD news. Though some hold out hope that President Trump will end the shutdown before his State of the Union speech on Jan. 29, my expectation is that the shutdown will last beyond January. And now, let’s add in the news that broke Wednesday afternoon: The Wall Street Journal reports that federal prosecutors are planning to pursue a criminal investigation of Chinese electronics giant Huawei for stealing trade secrets from U.S. business partners. That should do wonders for the China-U.S. trade talks. You know, the trade talks everyone seems to have pinned their hopes on. • The U.S. Fed signaled that it is not going to raise rates anytime soon. The market is now pricing in ZERO rate hikes this year. • Faced with a sharp slowdown, China has opened the floodgates on stimulus projects. Nearly $300 billion in special bonds for key projects was announced, on top of a huge railway expansion announced a couple weeks ago. And the amount of reserves that banks have to set aside has been slashed — for the FIFTH time in a year. • And the head of the European Central Bank, Mario Draghi, just announced that Europe’s economy is so soft, he’s going to continue the very stimulus he promised to end. In other words, the world’s central banks are STILL juicing the market. They’re pumping in the high-speed chicken feed, hoping to stave off disaster. So, I wouldn’t be surprised to see stocks rally for a bit more before they roll over. Maybe to the top of this channel. You know what a “kiss” of the top of that channel would be? An excellent opportunity to go short, buy puts or add inverse funds. Because you know what a kiss often leads to: A swoon. The market’s short-term action takes place against a backdrop of massive, long-term cycles. Those cycles pumped up U.S. stocks for a while. Now, they’re pointing lower. And the stopgap measures by central banks around the world won’t be enough to save the market’s bacon. So, the market seems to go higher in the very short term. We won’t stand in the way. The big trend is down. We’ll get ready for that — and the profit opportunities the next swoon will bring. I know you are so right!!! On the Cycle Charts pages it is stated that the Dow Industrial will reach 31,000 before the crash. Has your view on that changed? 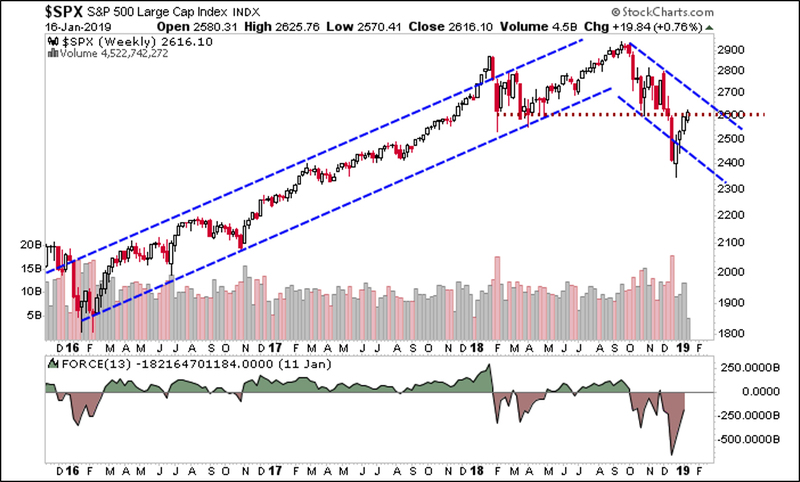 Will this bearish market continue to go down or will it turn to hit 31,000 before crash? Which cycle model is more accurate, Larry Edelson or Juan Villaverde?